Diverse nationalities took to sport to find "community, cultural acceptance," says historian. Chris Detrick | The Salt Lake Tribune Eileen Hallet Stone poses for a portrait in the Tribune studio Thursday March 8, 2012. Courtesy | Western Mining and Railroad Museum Utahís 1943 Jr. Baseball Champs. Front row (l-r) Joe Rolando, Jim Kavanagh, LeGrande Jones, Raymond Rachele, mascot, Alan Voll, Hollie Sillitoe, LaMar Hansen, Walter Borla, and Arden Aplanalp. Back Row (l-r) Jack Busato, Tom Migliaccio, Kenneth Dimick, Max Pessetto, George Pizza, team manager, Tony Tonc, Jim Ballinger, and Robert Ramsey. Purportedly created by Abner Doubleday in Cooperstown, N. Y., in 1839 and set to rules by Alexander Cartwright in 1845, what would become our "national pastime" entered American life. In the rural mining and railroad town of Helper, Utah, it was that and much more. Helper, known as the "Hub of Carbon County," was named for its "helper" engines that assisted freight trains in making the steep climb to Soldier Summit at 7,477 feet. According to historian Philip F. Notarianni, in the 1900s, the town was also home to "16 different nationality groups that represented merchants and laborers, influenced the town&apos;s social landscape and took to American baseball as a way of gaining community and cultural acceptance. "Besides," he recently confided, "nearly every kid  even I  played baseball." "My father, Pete, had nothing to do with baseball," retired postmaster, columnist and sports announcer Walter Borla said from his home in Helper. "He worked in the coal mines and always said, &apos;You should be working because you&apos;re certainly not going to eat that baseball.&apos; But for kids of foreign heritage, baseball was an outlet. It was a way to fit into the American culture, blend with different nationalities and religions and learn how to play together and get along." During the Great Depression (1929-1939), Borla&apos;s father and other Italian, Austrian and Greek stonemasons worked for the Works Projects Administration (WPA). They built a rock wall on the left side of the American Legion field that was later designated Gardner Field. Borla remembers playing as a 12-year-old on that "historic" field. "When sod was put in, we had the only completely grass playing field in eastern Utah, a wooden-covered grandstand right behind home plate and lights installed for night ballgames," he said. "We played on Sundays. We didn&apos;t have uniforms but wore a cap from the local business sponsoring our league. Those who were good players would go into the semi-pro leagues  very competitive teams that were provided uniforms and equipment except for their baseball bat and glove." Ballgames played with teams named Helper Merchants, Bingham Steelers, American Fork Steelmen, Brigham City Peaches, Provo Timps and Pinney Beverage of Salt Lake City drew large crowds and were broadcast over local radio stations. "This was done by telegraph," Borla wrote in a 2007 Carbon County Historical Society article titled "Baseball in Helper." "An operator of the box ticked in the progress of the game to an announcer miles away who re-created the game from the telegraphic reports. This process meant radio reports would be almost two innings later than the actual occurrence." Heading downtown with friends, Borla would relive the last innings over the car radio. Coal companies, who took baseball as a positive way to become involved, also sponsored leagues. "There was no compensation for coal league players, but some of the coal camps would import players by getting them good jobs, often outside the mine," Borla explained. Sometimes the competition was so great between coal camps, a man might be playing for one camp, and the next day he&apos;d be playing elsewhere because he was offered a better job. "It was about employment." 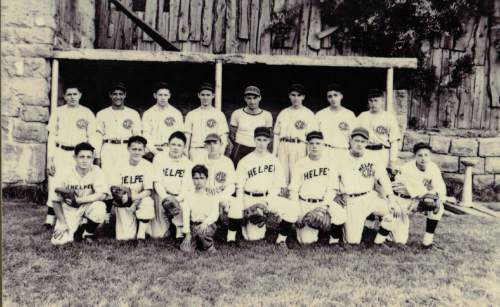 In 1943, Borla played on the Helper American Legion team that won the state championship. In 1944, he played with Carbon High School and finished in second place in a statewide competition. After his army service, he played several years in a coal league before marrying his wife, Josephine. After WWII, Helper initiated an annual fundraising celebration called "The Days of 49." While law enforcement turned its backs, slot machines, blackjack and games of chance provided funds for numerous improvements including the beloved ballpark. At 89, Borla, honored with a little league park named after him, still speaks in a voice that makes us see and experience every whiff, short fly, knuckler, stolen base and grand slam that turned baseball into community. 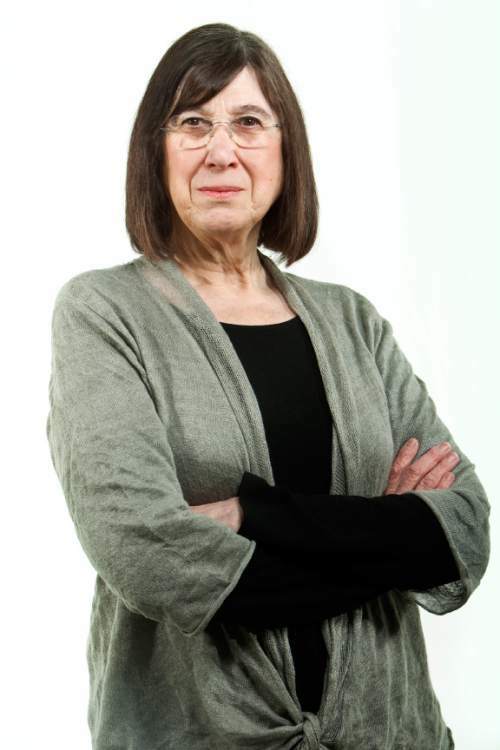 Eileen Hallet Stone, author of "Hidden History of Utah," a compilation of her Salt Lake Tribune columns, may be reached at ehswriter@aol.com. Special thanks to the Western Mining and Railroad Museum. Additional source: Philip F. Notarianni, "Helper  the Making of a Gentile Town in Zion," in "Carbon County: Eastern Utah&apos;s Industrialized Island" (1981).